Have you spent time thinking about creative ways to bring new customers to your door – are you considering a radio ad, a direct mailer campaign, or something with Groupon? Alpha Pilot Academy, a flight school with locations in St. Louis, MO and Olathe, KS, faced a similar situation with no luck from these tactics. The flight school went back to the drawing board and developed a whole new concept aimed at recruiting and retaining new customers – The Pilot QuickStart Program. 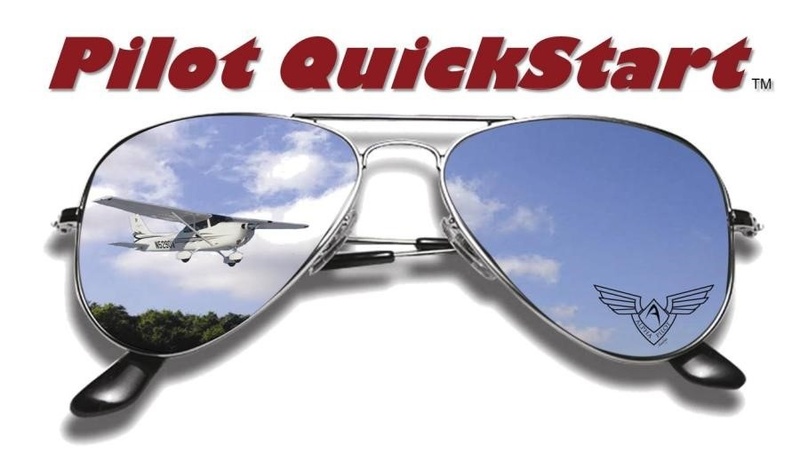 The goal of the Pilot QuickStart flight training program is to provide individuals with the opportunity to experience piloting an airplane with minimal time and money. The program includes four sessions in a Redbird MCX full motion simulator and a one-hour flight in an airplane. All home study materials are provided, including a logbook. Ray Kollar, program consultant, explains the program as “Aviation 101”, something that is experiential with an immediate sense of accomplishment. Each session follows a structured syllabus with self-study content that is stripped down to just information necessary for the program and nothing more, nothing that would overwhelm or confuse a new customer. A unique part of the program is the attraction and cost benefit of recruiting two people to sign up for the program together ($649 for an individual or $799 for two). Alpha Pilot Academy has seen husband and wife, co-worker, and father and son/daughter teams go through the Pilot QuickStart Program together. In one year, Alpha Pilot Academy had 76 graduates of the program. And even better, 48% of those Pilot QuickStart graduates decided to continue on to private pilot training. Flight instructors have seen that private pilot students coming from the QuickStart Program are more confident in training and already have an idea of what it takes to commit to earning a pilot certificate. Sounds great, right? But, how do you find the time to build something like this for your flight school? Don’t even worry about that! First introduced at Redbird Migration, Alpha Pilot Academy is licensing a turn-key version of the Pilot QuickStart program to interested flight schools. The program includes the full curriculum and study materials, a half-day of training for your CFIs, marketing collateral, and fully-automated e-Commerce website transactions. To add this already tested (and proven revenue generating) program to your school there is a one-time set-up fee of $1900. The actual program price is set by your flight school. The turn-key program is currently available for other flights schools to use. Flight schools interested in the Pilot QuickStart program can visit www.pilotquickstart.com and/or email PilotQuickStart@gmail.com for more information. The great staff at Alpha Pilot Academy are eager to share this “secret sauce” for customer retention and talk about how they’ve already spent time learning from challenges and successes and then tweaking their program, so you don’t have to.